1. Combine the rice, fenugreek and dal. 2. Grind them together to a smooth paste. 3. Lightly mash the bhindis till mushy and grind. 4. Add this to the rice-dal-fenugreek batter and mix well with salt. 6. Pour a ladleful of the batter and cook on both sides till golden. 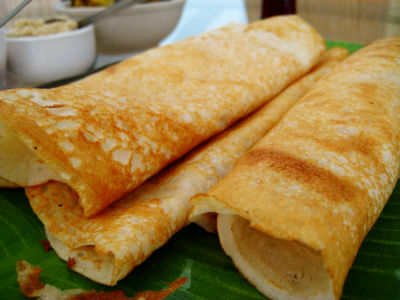 Feel free to comment or share your thoughts on this Vendakkai Vendhiya Dosai Recipe from Awesome Cuisine.